The notion that the words “banking” and “openness” might walk hand in hand today, in 2011, is positively laughable to anyone born before 2008. 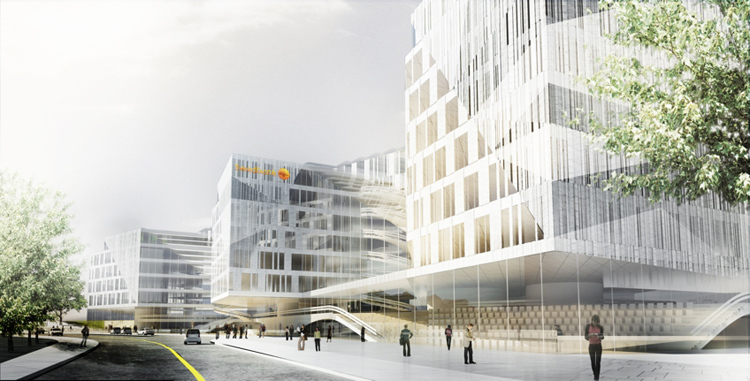 But that’s precisely what Swedbank is suggesting with its proposed headquarters in Stockholm, a 484,000-square-foot glass- and light-filled confection that (fingers crossed) hints at a sunnier future for the financial industry. 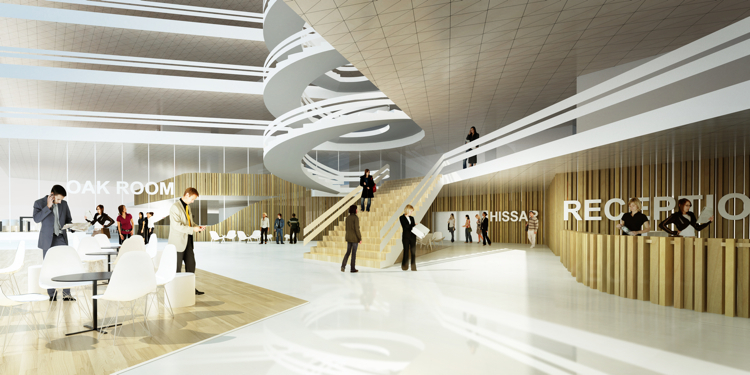 The headquarters are designed by the Danish architecture powerhouse 3XN, and they’re conceived of to convey “transparency, Scandinavian simplicity and a dynamic social environment,” per the architects’ press release. To that end, the facade is covered in glass, including at the lower levels, where assorted conference rooms and a restaurant are placed on public view. By our lights, the whole thing sounds and feels a lot more like a glowy art museum than a stodgy old bank, which, come to think of it, is exactly the kind of symbolism the financial industry should pursue nowadays. Art museums are vaunted institutions. Banks oughta’ be, too. Let’s hope others follow Swedbank’s lead (and practice what they preach). The headquarters are slated for completion in 2013. For more info, visit 3XN’s website here.